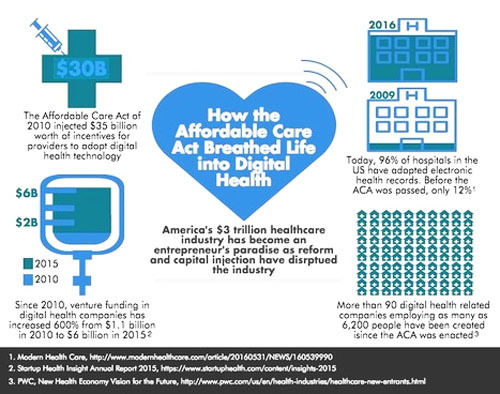 The ACA’s Health Information Technology for Economic and Clinical Health (HITECH) provisions created tens of billions of dollars in incentives for healthcare providers to implement federally approved IT systems. These systems, known widely as electronic health records (EHRs), were key to healthcare reform and created the strongest platform to date for digital health innovation. But, are EHRs on life support? 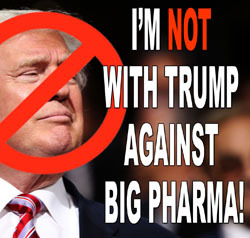 In a recent guest piece on STAT [“One Physician Says Donald Trump Is Right About #Pharma“], Dr. Charles D. Rosen enthusiastically supports Mr. Trump’s negative views on the pharmaceutical industry. Dr. Rosen, a clinical professor of orthopaedic surgery at UC Irvine, believes that the Republican presidential nominee is correct on some key issues. Unfortunately, rather than provide thoughtful commentary, Dr. Rosen goes into a variety of rants to support his views. 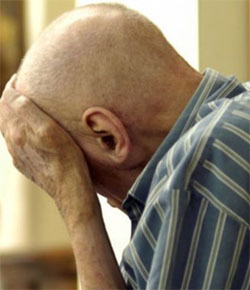 For example, on Medicare drug price negotiations, a position that the Democratic candidate, Sec. Hillary Clinton also supports, rather than acknowledging the bipartisan backing of such a proposal, Dr. Rosen trashes Clinton’s credibility on following through with her publicly stated stance. Personally, given the outrage over drug prices and the growing calls for controlling Medicare costs, I would not be surprised to see legislation enacted in the next four years giving Medicare the ability to negotiate drug prices regardless of who is elected the 45th U.S. president. The same can be said for Dr. Rosen’s views on drug importation. This is a great topic for discussion. Unfortunately, Dr. Rosen goes into another attack. Media buying and selling software provider Strata surveyed 84 US ad agency professionals who were at the media director level or higher at agencies of varying sizes. 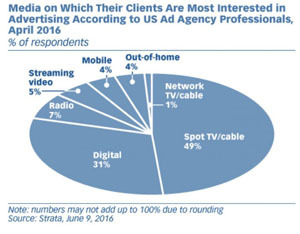 When it came down to the advertising media their clients were most interested in, TV was the top choice. No other medium can challenge TV’s dominance of the US advertising market. According to eMarketer, spending on every other medium combined, which includes print, radio and out-of-home, doesn’t come close. 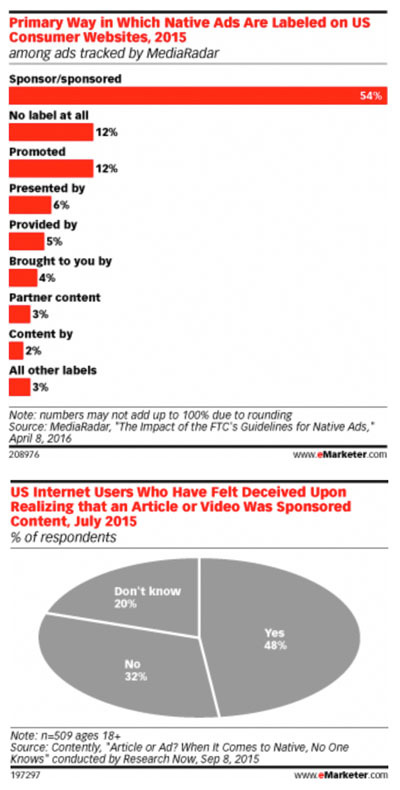 Native advertising, particularly in-feed video, is gaining traction as a way for media companies to monetize digital content. However, the initial success of this ad format belies tensions between publishers and social media companies, and concerns about blurred lines between editorial and paid content.